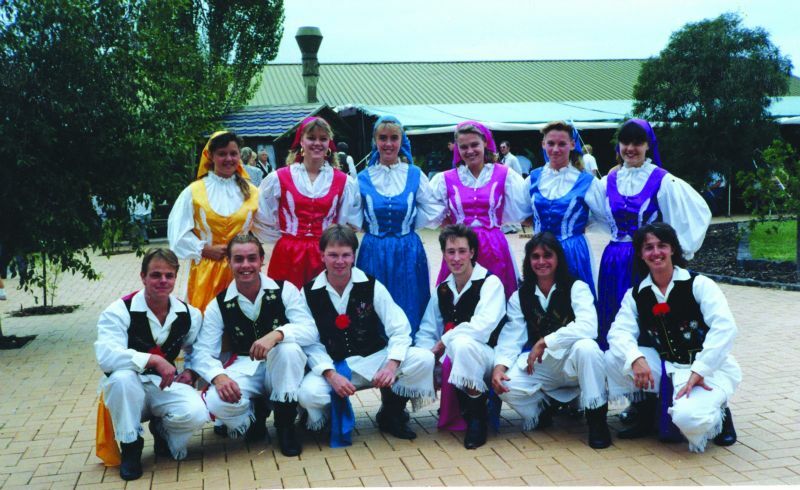 First Folklorna skupina – folk dancing group was formed informally in 1957 for processions at Sunbury and Moomba processions in Melbourne. 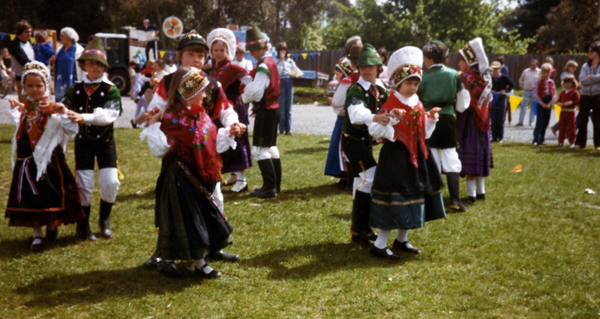 The group danced dances from Gorenjska. 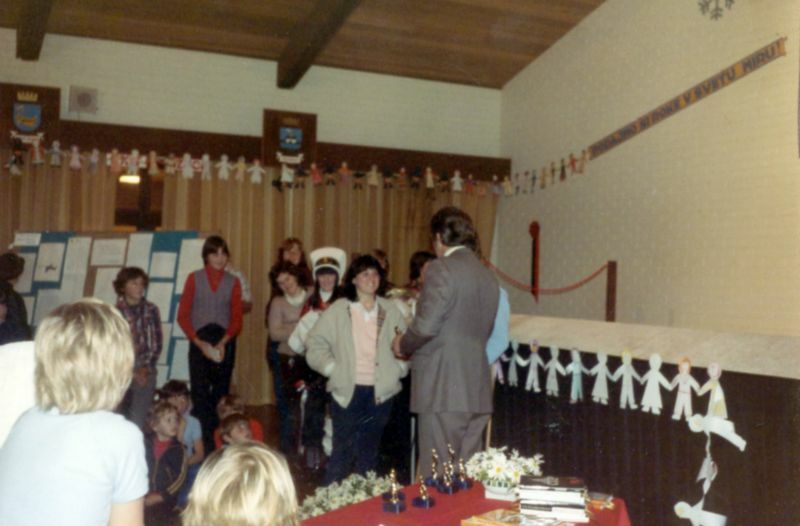 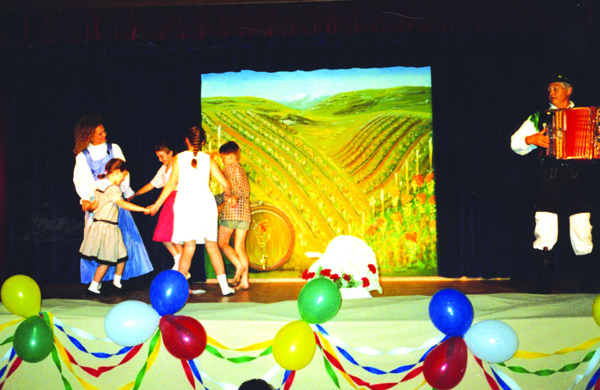 Teacher: Draga Gelt OAM, in years 1978 to 2004, dance and national costume advisor all these years. 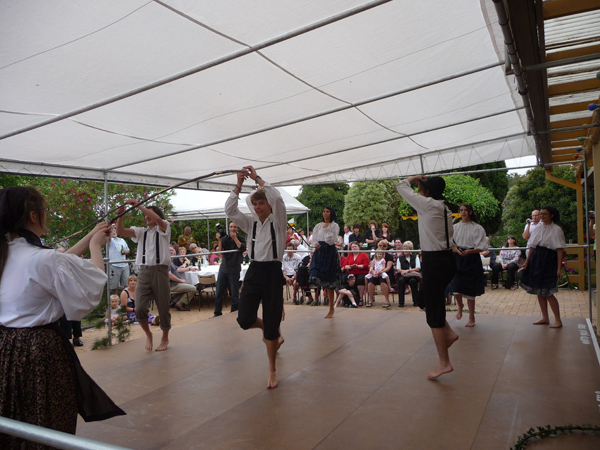 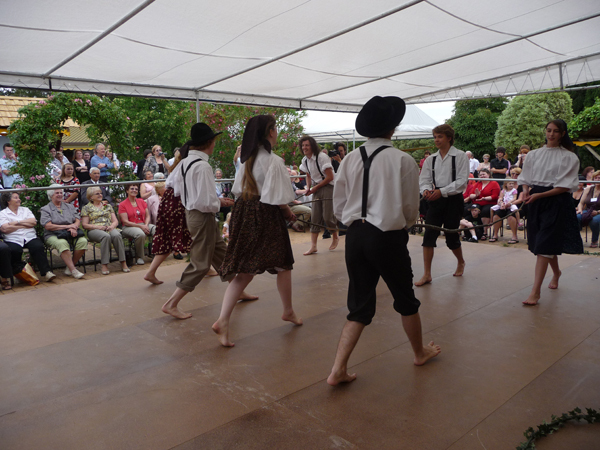 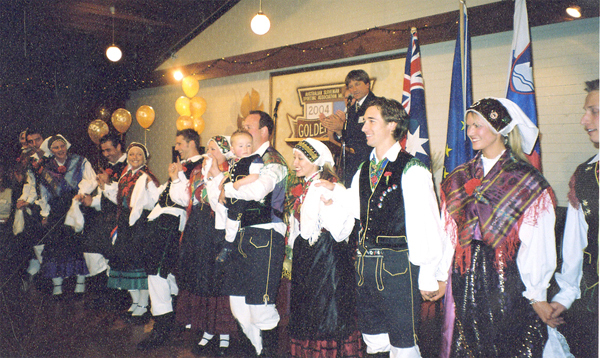 There were three dancing groups at Slovenian Association Melbourne: children, youth and adult. 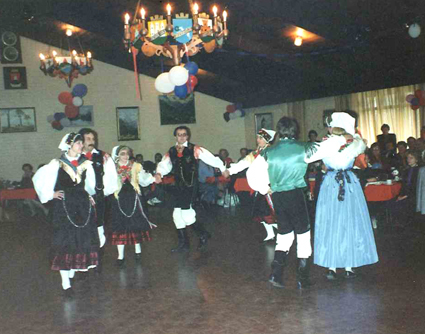 The groups danced dances from Gorenjska, Dolenjska, Prekmurje, Bela Krajina, Koroška and Primorska regions in the national costumes of each region and with the music significant for each region. 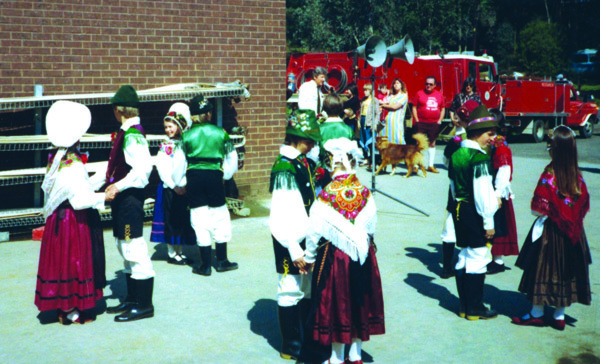 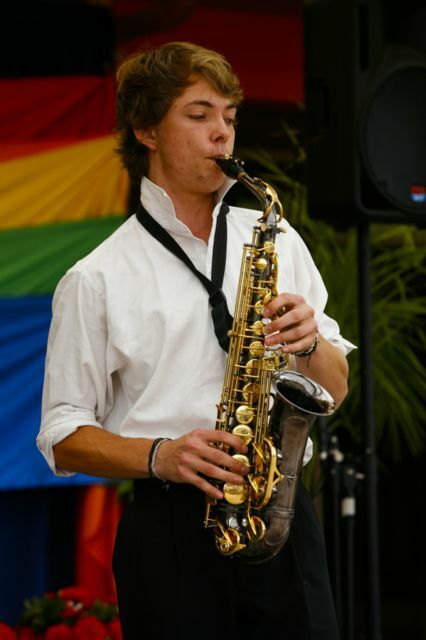 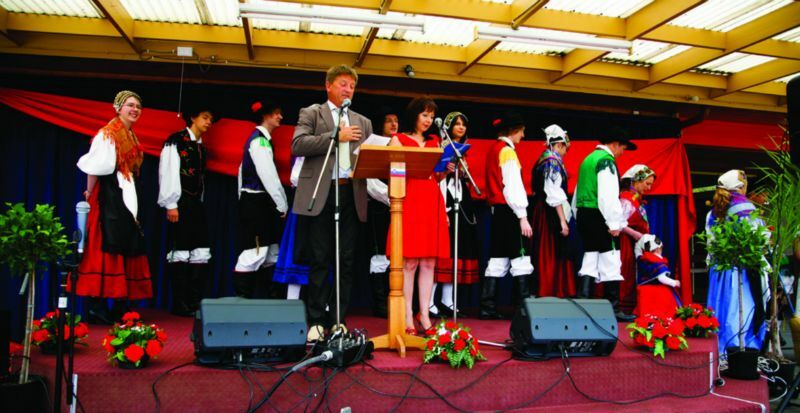 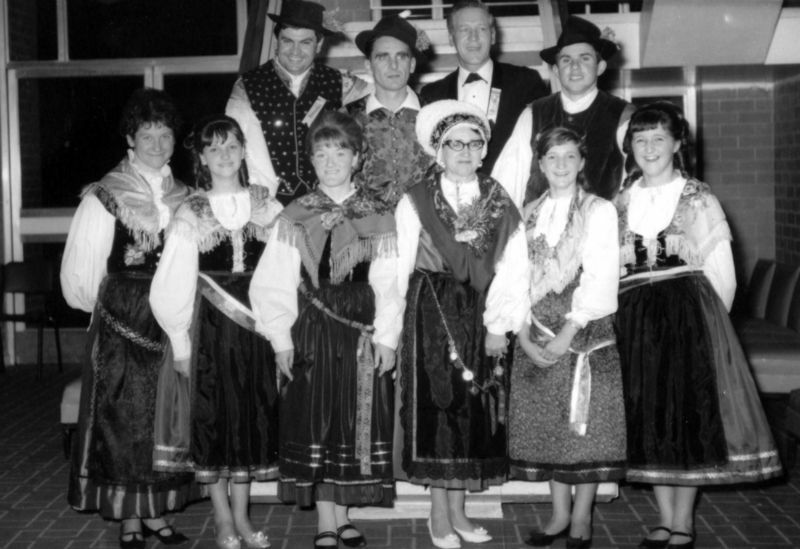 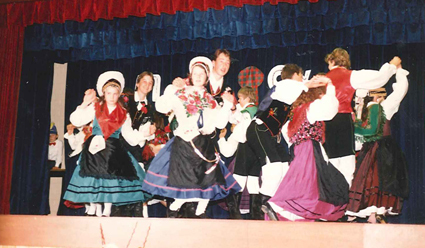 The groups performed at various cultural programs, anniversaries, international festivals, Slovenian youth concerts, at weddings, local multicultural events and some multicultural folkloric competitions. 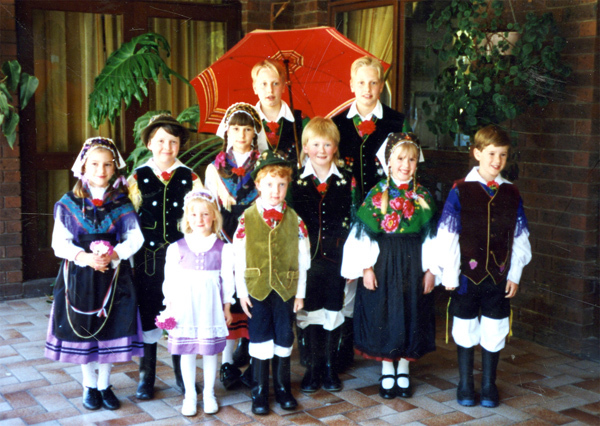 Children and adults who were the members of this groups, performed the Gorenjska dances in national costumes. 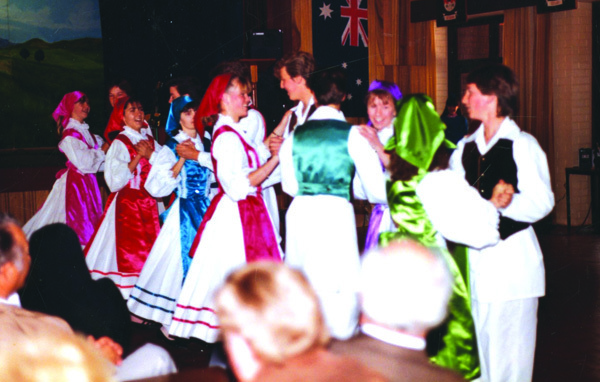 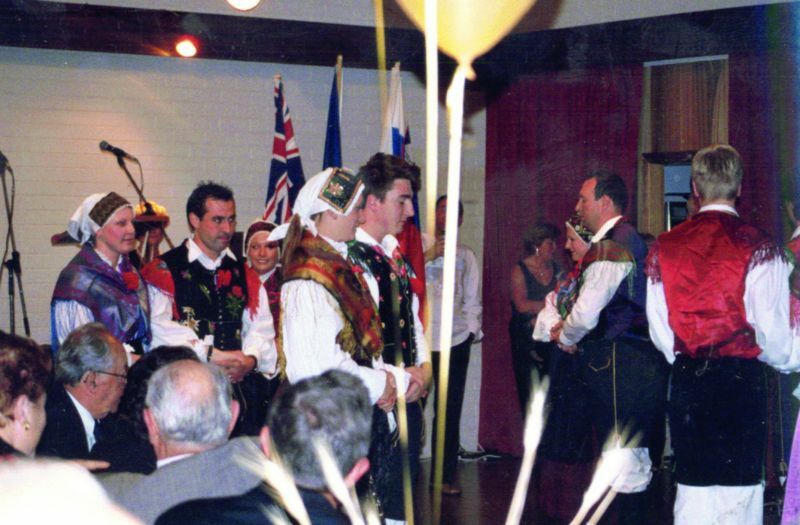 Many members of Slovenian Association Melbourne dance and teach in the dancing group Iskra, performing at various occasions and venues, practicing at Slovenian Religious and Cultural Centre. 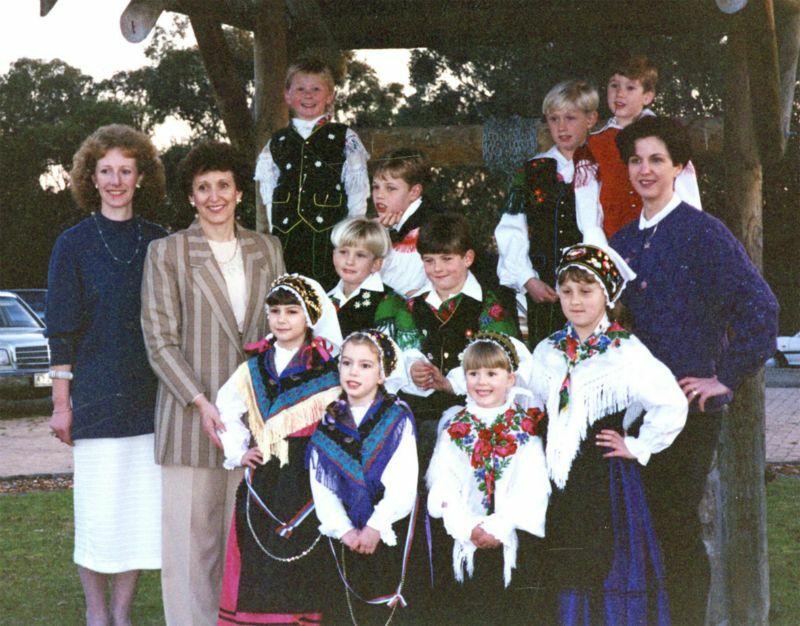 Teacher: Kristina Cestnik, 1999-2000, teaching Gorenjska dances. 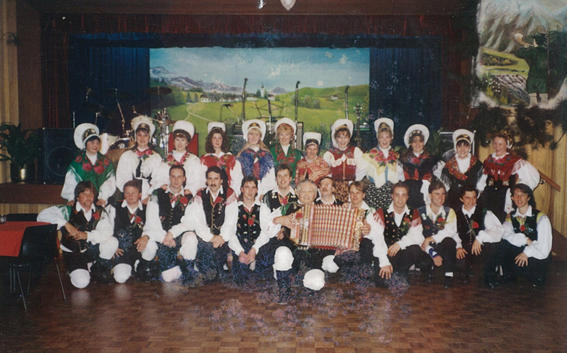 Michelle taught Gorenjska and some Prekmurje region dances. 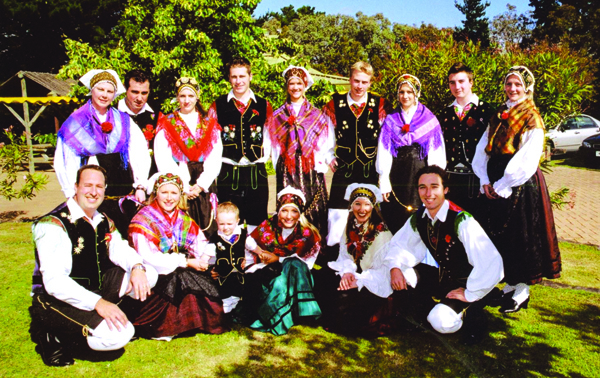 Teacher: Melissa Fistrič, (mentor Draga Gelt), 2007 – 2012, teaching Iskra group dances from Gorenjska, Prekmurje, Bela Krajina, Primorska, Bloke, Koroška and Nova Gorica regions. 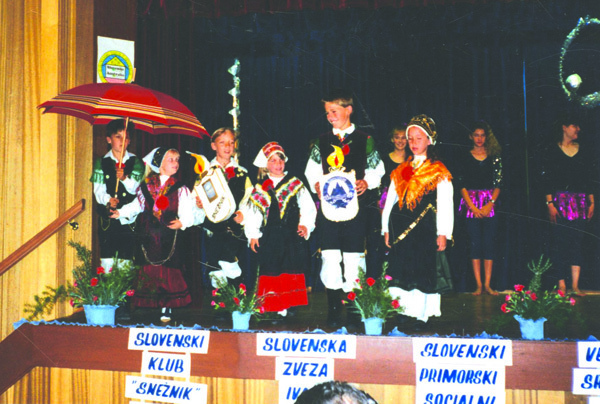 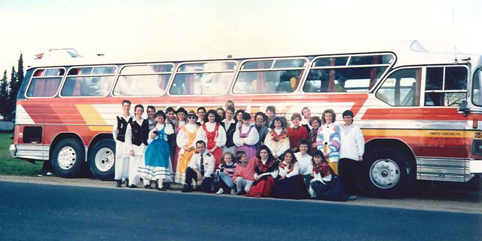 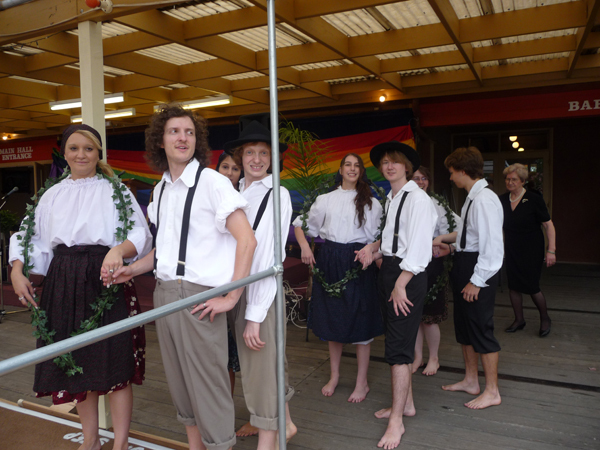 The group performed at multicultural festivals, annual Slovenian youth concerts, in Age Care Homes, Slovenian Association functions, and competed at the Macedonian Club. 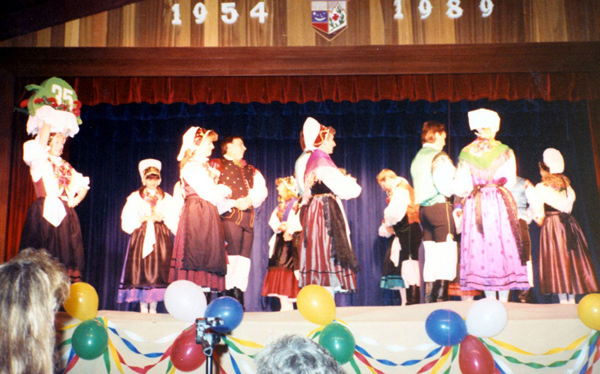 The care of national costumes were the responsibility of Dragica Gomizelj, who in 1954 made the very first national costume of Gorenjska region. 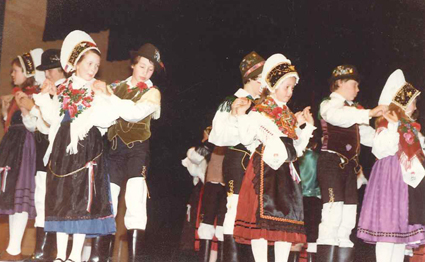 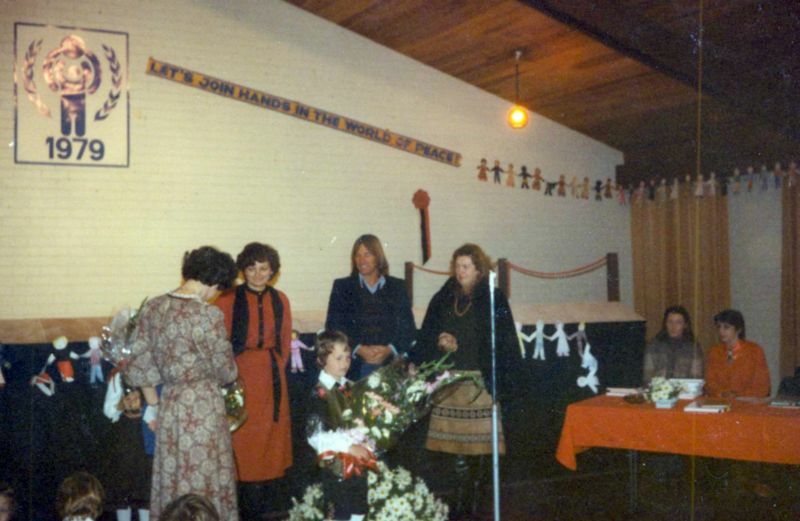 In 1984 a working bee was organized: Milena Brgoč, Marija Krnel and Dragica Gomizelj had sewn men’s and ladies’ costumes of the Prekmurje and Bela Krajina regions as well. 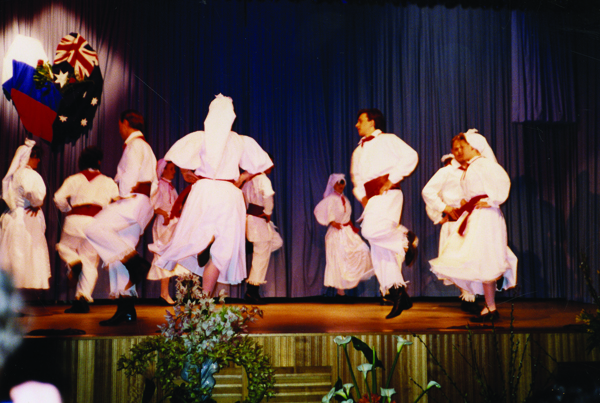 The costume archive registry of all the national costumes and the costumes for symbolic and modern dancing was prepared, numbered and organized by Anita Fistrič nee Žele in 1991 – 1992 with the help of Dragica Gomizelj, Marija Dolenc, Mary Žele, Dorothy Gregorič and Anica Kodila. 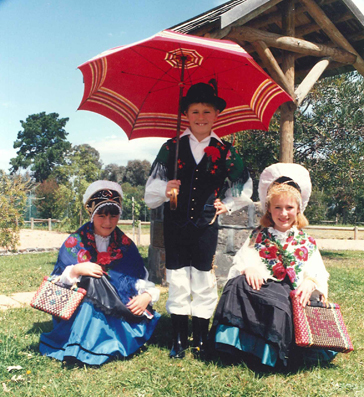 All the costumes were labeled as the Slovenian Association Melbourne costumes. 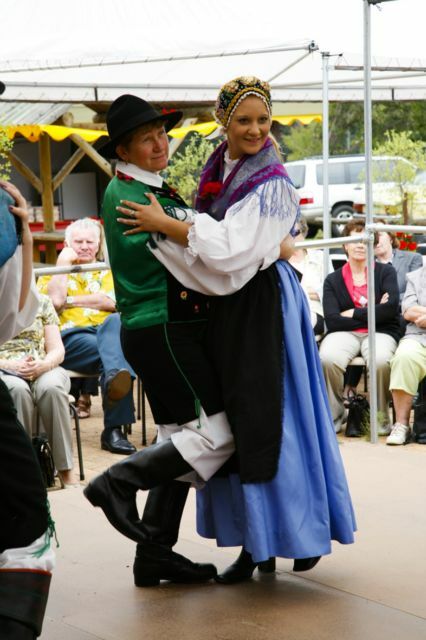 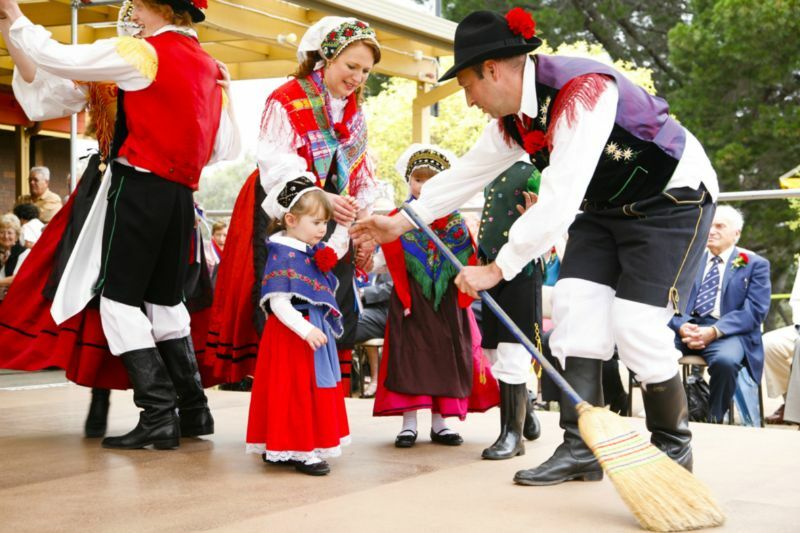 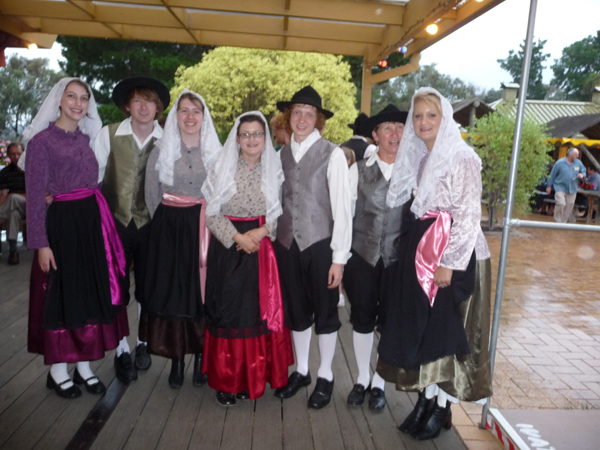 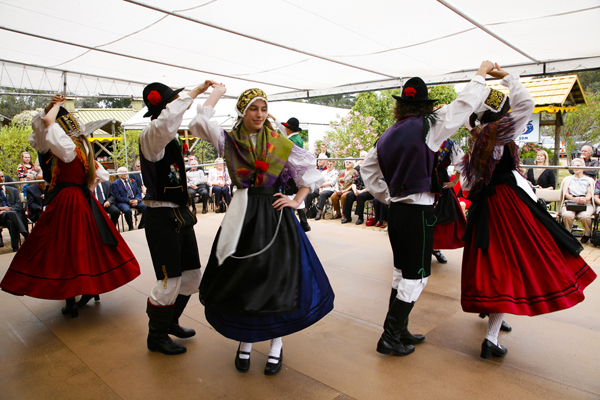 Folk dancing group Iskra from the Slovenian church regularly uses costumes from Slovenian Association Melbourne. 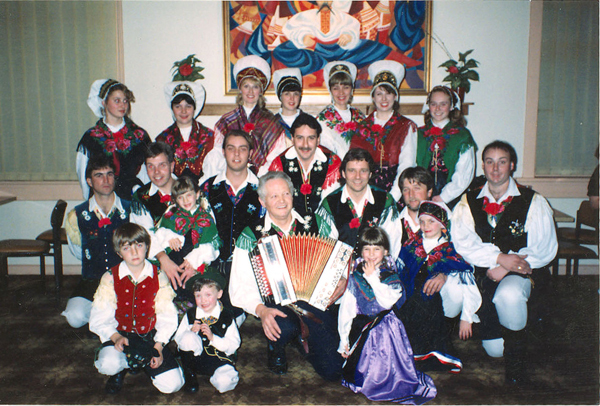 Stanko and Franc Hartman first played the button accordion for the dances, in later years Viktor Lampe, Branko Tomažič – Srnec, Peter Pirnat and Lenti Lenko OAM. 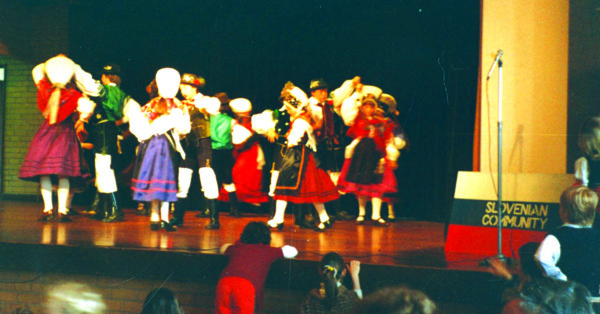 Cassettes by Folkdancing Group France Marolt from Slovenia were used as well for some performances.